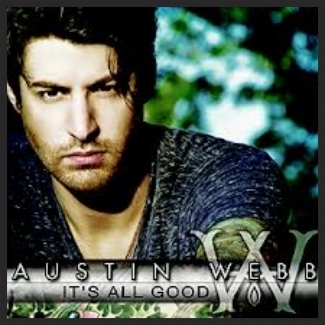 Recently I had the opportunity to have an impromptu interview with Austin Webb ~ the vibe you get from him in his music is really who he is. He was real, he was fun with a great sense of humor we had a fun chat. Often you hear musicians say something about doing it for the love of music – well it’s not lip service from him, you feel if from Austin when talking to him. He does not care about ‘fame’ – it is almost as if it is a dirty word to him as he stated, “fame is some crazy word people made up. I think everybody is famous you know.” When I asked him who he would like to get a shout out from I was taken aback when his answer was “autism speaks.” He would love to work, partner with them in the future. Don’t get me wrong, he wants us to hear his music thus when I asked what comes to mind when you hear country music with a laugh he stated “when is mine going to be played, is my song next” was one of his answers ~ one of his less methodical ones throughout our conversation. He did go on to say it evokes many different emotions. Many musicians talk about how they started playing and singing at a very young age however, Austin’s musical beginning is influenced by his true love, poetry. He began writing poetry when he was 9. The musical part came into play in his teens. Often times we search to put a musician in a box and “label” them. I had tried to explain Austin’s sound and really found I couldn’t as it is unique. The more we talked it became clear why. We talked about his “musical roots” and where his inspirations come from “I grew up listening to country music on the radio, of course growing up in SC. I got into Kris Kristofferson and Motown and I was reading a lot of poetry. A lot of the poetry plus the old country plus the Motown made me become what I am now” This to me explains his sound, the uniqueness of it, especially of his first single “It’s All Good.” I am excited to hear what he does with it, not only on his debut CD but for the years to come, ~ he has a fresh outlook on music for certain. We could hash out the cliché country not country argument but to me it doesn’t matter good music is good music and Austin gives us just that. Some of his songs like “Southern Belle” have more of a country flavor than “It’s All Good” does ~ make no mistake about it when he does “country” quote, unquote, he does it very well. He has a different take on what needs to be in a country song “you can write a country song without putting dirt roads and beer in it” I like the direction he tends to lean towards. I find it very refreshing. In today’s music world you need to be versatile and willing to think, play outside the box and he does just that. We talked about whom he wants to tour with and places he’d like to play. He’s almost like a kid talking about getting to go to Disney Land, you hear the anticipatory excitement in his voice, and I imagine there was a glimmer in his eyes. That lead to his dream place to play “I think I want to play in Paris ~ I want to play the Opry I hope to God I get to play the Opry.” But really just living rooms, arenas, I don’t care I like playing music for people, I like meeting new people. Where ever people will listen is where I want to play. That’s what I love” It was another compelling answer into who Austin is and how genuine his love of music is. It’s what it’s about to him, touching people’s emotions with his words and music driven by his interest in life. Even my normal “quick kill” questions turned into fun more in-depth than normal, giving me, us, even more insight into Austin. Usually I go down the list and get quick one or two word answers for what I call my “quick kill” questions. With Austin it was different we talked about his answers and it actually ended up giving me a lot of the “goods” so to speak that made up my article. Q ~ A place you can spend a hours and be happy? Q ~ Whats on your iPod? He does have quite an eclectic collection I must say. We got into the meat of his music when we talked about this. Black ~ everything that Johnny Cash stood for it kind of speaks for a lot of people that speak. Rugrats, Hey Arnold Sponge Bob Square Pants ~ this question turned into a completely different conversation from his favorites to his view on South Park – their writers how people can complain all they want but it’s not going to change what they do.